Our Pontiac parts range includes service and restoration parts for the Australian delivered Laurentian and the more expensive Parisienne, which were exports out of Canada (not USA) to Australia and other parts of the world. These cars have Chevrolet mechanicals under Pontiac bodies. 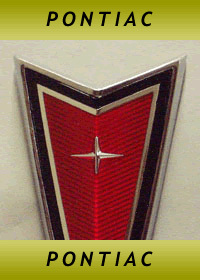 Many Pontiacs of the 70's and 80's have engines from other GM factories such as Oldsmobile, Buick and Chevrolet.